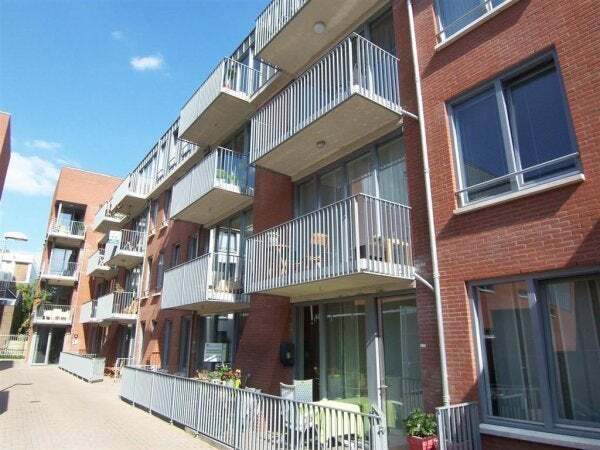 Modern furnished 3-room apartment located in a representative complex in the center of Eindhoven with private parking. Representative central entrance with a. Post boxes, doorbells with intercom and elevator. Common bicycle storage. Apartment entrance, hall with meter cupboard and access to the (large) bedroom 1. Attractive living room with modern decor. Modern open kitchen with a dishwasher, combi microwave, fridge and separate freezer and all other necessities. Two spacious bedrooms with box-spring beds and linen cupboard. Bathroom with bath with shower and washbasin. separate spacious storage room in the apartment with washing machine and dryer. Please contact our office for any questions or to schedule a viewing. -The advertised rental price is based on a rental contract for a minimum of 12 months. -Shorter periods possible in consultation. -Service costs are included in the rent. -including private parking garage, included in the rent. - Owner / landlord can charge administration costs. Enter your details here and we will contact you within two business days for a viewing. We like to call you! We will call you back as soon as possible with a maximum of one working day.